The sky is falling and the podcast is airing! 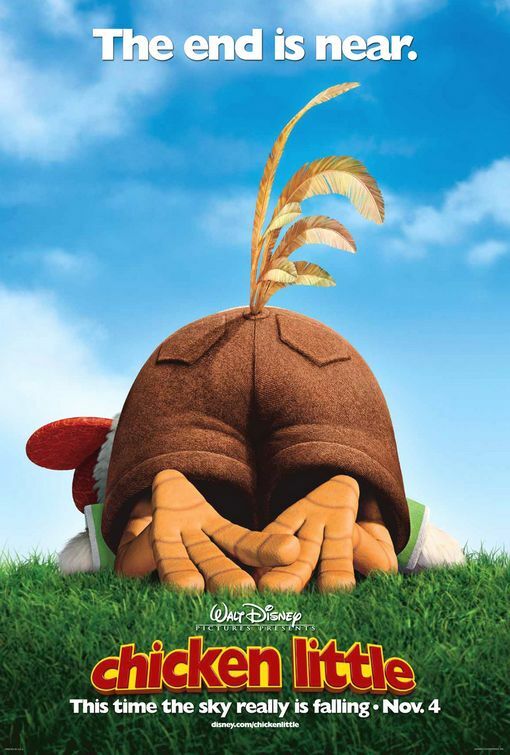 We watched Disney’s first fully CG film (“Dinosaur” doesn’t count, the backgrounds were real), 2005’s “Chicken Little”! What did we think of Disney’s first full foray into 3D animated films? Is Penny Marshal Gary Marshal’s daughter or sister? These and more important questions on this week’s episode!